Do you have a sale you’d like publicized? Just stop by our studios at 1104 Cloquet Avenue in Cloquet and fill out the form. Then pay $15 and your event will be publicized on the air and on our website during the week of your sale. 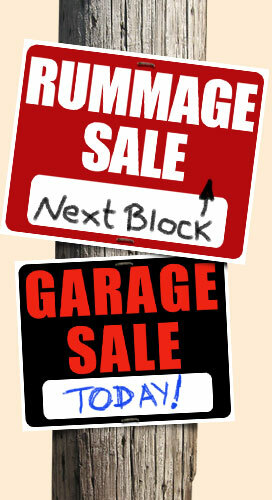 The Northwoods Rummage/Garage/Yard Sale Guide generally will air during the spring, summer and fall months!